I was a smartphone holdout for a long time. I still don’t have an iPhone. I’ll admit a fondness for Android, probably because my Samsung screen is big and I like that little green droid guy. There are still plenty of things that others use their phones for that I don’t, but there are some apps that I’ve found to be very handy. One of them is Bible Gateway (www.biblegateway.com) that gives me a verse of the day, right there in my face on the screen. Of course, what vocalist wouldn’t love this verse? Just reading this makes me think of the joy of making music and the sensation of being in tune, or atunement. But atunement – being in tune – that’s right. You feel it, you know it. You feel the energy not just matched, but multiplied. That’s not always an easy place to get to, and I wonder if it’s really possible, but we can at least try. One facet of God is that God is like a benevolent, ever-patient music teacher. God puts up with our flat notes, sliding pitches, wobbly tones. We hear what it sounds like, and hear in our mind what it should sound like. Most importantly, we know what we want it to sound like. Then we have a choice. We can either be sloppy and fake it halfway, or we can take our time and make the purest, most perfect tone that we possibly can with the instrument we have. Making that tone of our lives the best that we can is, I think, extoling God with music and song. It’s making a joyful noise – and we do it because we want to, because it is joyful! Even if music isn’t your thing, you can sing (or work, or write, or play, or whatever) with joy to the Lord. All that really matters is that you make it the best you can, and the Divine will be glorified through your gifts and your joy. Just a week ago I had a conversation with a couple of friends about “when in doubt, bring food.” Whenever someone has a Major Life Event, the common response (at least in my corner of the world) is to bring a meal, a casserole, a….something edible and delicious. I mentioned that I had often wondered if this “bring food” response is a Louisiana thing, or is more universal. “I think it must be universal,” said I. After all, drive-through daiquiri stands may be JUST LOUISIANA (yes, we have them) but food – well, everyone eats, right? I was told stories by the other friends that indicated that this isn’t always the case. Huh? This was a surprise. If there were an official manual of Cajun Etiquette, page 1 would read simply this: When in doubt, bring food. After all, it’s what we do. When someone has a baby, bring food. When someone has an operation, bring food. When someone has a surprise, a shock, an unexpected visitor, an expected visitor (or a whole houseful of them), a new house, bring food. When you have a new neighbor, bring food. When someone is packing to move out, bring food. And when someone dies, bring food. 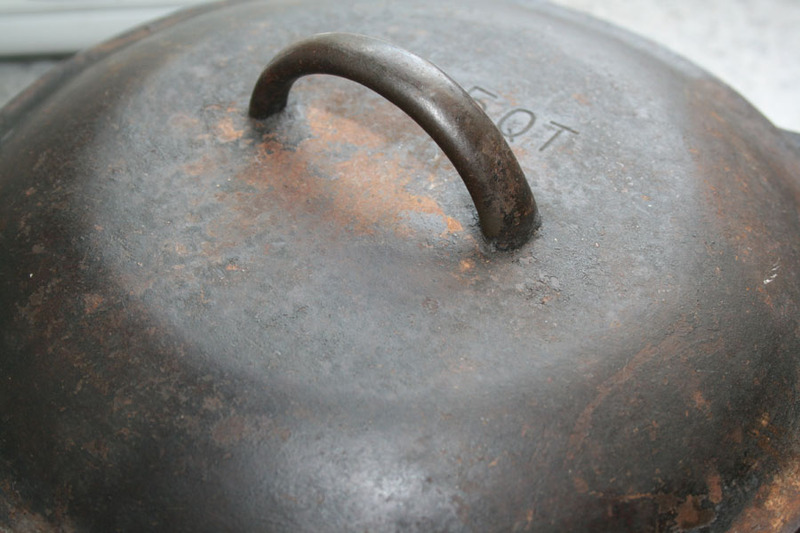 A meal, a covered dish, a casserole, a pot of gumbo…one brings food as a practical matter and as a symbol of sustenance. It’s an act of nurturing, of caring and of sharing. I made this for your family and mine; we don’t have to eat it together to know that we’re with you in this. We symbolically share a meal, and in a part of the world where cooking is practically a religion, the offering of a meal is sacramental: An act of grace, an expression of love. I can’t take away your burden, but I can make your life a bit easier. I made you something that nourishes my family, I hope it nourishes and feeds your body and soul. Have some comfort food. Just receive; it was made with love and prayer. If the event is a positive one, bringing food is still – always – an appropriate response. A celebration? You’ll have company, and I know you’ll want to feed them and spend time visiting, you don’t need to be in the kitchen. A new baby? Rest, Mama, all y’all have to do is heat up the gumbo, and don’t forget to eat ‘cuz you have to feed that baby. Your adult child is home from serving our country? He or she needs some real home cooking, and you need to spend time listening, not cooking. Eat. Even if you are too numb to taste it, eat. Your body needs fuel. I thought of you and your loved ones; I prayed for you all while I chopped and cooked. Whether prayers of supplication or prayers of thanksgiving, I thought of you as I decided what to make, selected the ingredients, and cooked. My humble kitchen became a place of prayer as a meal for your family (and possibly mine, if the pot’s big enough) came together. I made a lot, there’s plenty, don’t worry. I’m not always good at saying what I feel, but I sure can cook how I feel. Sometimes words fail us, but food doesn’t. So when in doubt, bring food.